Searching for a new constituent relationship management (CRM) solution is no easy task. The process, as I outlined in a recent Fundraising & Philanthropy Magazine article, requires 10 steps to do it right. There is an important process prior to those 10 steps and that process involves asking the question is our non-profit organisation ready for a new CRM? Ensuring organisation readiness for a CRM is an important step, which involves people at multiple layers of your organisation. Unless your organisation determines readiness, there is no point to move to a CRM search. In fact, your organisation should not commence a CRM search until leadership has signed off on the organsiation’s readiness to adopt a new CRM. Business owners – those end users who will adopt the new CRM. Information Services – those who will need to support the infrastructure. 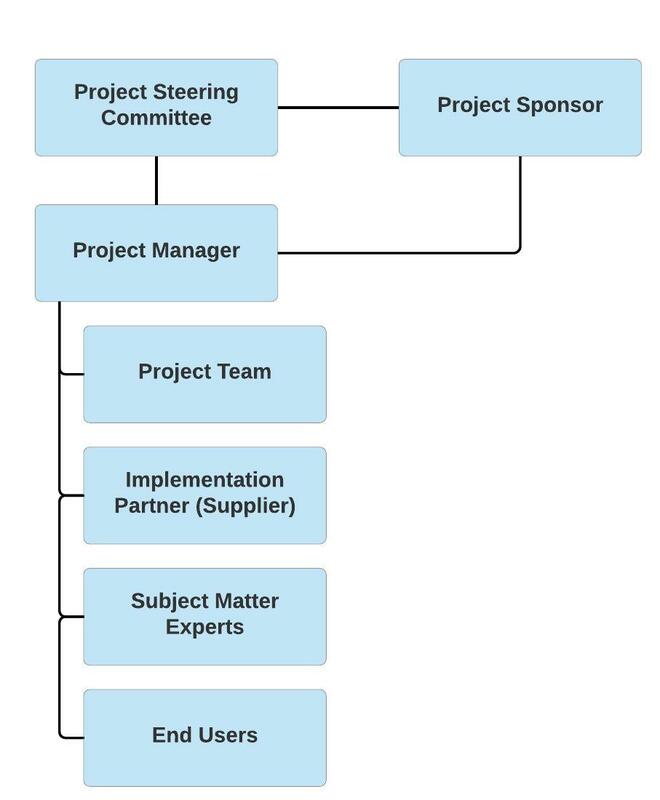 Senior Management Team – those who are ultimately responsible for sponsoring the project, including approving budget for the project. There are just two key steps in the process to determine CRM adoption readiness. Those steps involve critical information gathering and assessment and analysis of that information. A gut feel is not good enough. Your organisation needs to determine CRM adoption readiness through objective information and analysis. Data integrity – review the data in your existing CRM and determine if it is in the condition you would want to see it in your new CRM. Think of this as similar to moving houses. Would you want to open the door of the new house and find the new house in the same condition as your present home? Additionally, remember the condition may get messier through a data migration. There will always be data clean-up which needs to occur during Go Live of the new CRM. Document the last time your organisation conducted any sort of data hygiene exercise. Resourcing – the work during a CRM adoption falls to your team as much as it does to the supplier you engage. Do not expect the CRM supplier to do more than 50% of the work. A CRM adoption is a team effort. Document who you have available for the design of the CRM, as well as user acceptance testing and go live activity. Think about whether staff can dedicate 100% of their time during peak periods of the project. Document holiday periods and other key projects, which will compete for your team’s attention. Remember to document public holidays in addition to paid time off. Senior management engagement – determine the level of engagement of your senior management team. Change starts at the top and your project must have the endorsement and the engagement of CEO and his/her management colleagues. Strategic alignment with the organisation – does the CRM transformation support strategic goals of the organisation? Will the CRM assist you to raise more money and to engage more constituents? Budget – indicative pricing for a project needs to be planned for and tentatively approved. There is no point in gathering requirements and going “shopping” for a new CRM if your organisation cannot afford the CRM and implementation services at the outset. Create a contingency budget for those items which are not planned for, but which are common during a project. Budget for a project manager to guide you through the project. A project manager does not have to be a full-time position. Training and ongoing support of CRM – will your organisation train the staff who will use the CRM and will your organisation make ongoing investments in the CRM once the solution is live? Create a scoring tool and score the information gathered in order to objectively determine your level of readiness. If your score is not 75% of the possible perfect score, your organisation is not ready for a CRM transition. If you do not achieve a 75% readiness score, spend time to correct the matters. Re-evaluate in 6 months and see if your score improves. Too many organisations jump to a CRM search and move into a CRM implementation without first asking is our non-profit organisation ready for a new CRM? Spend a month pre-CRM search to evaluate your non-profit organisation’s readiness. You will not regret taking this time to determine readiness. Your CRM adoption project will be more successful as a result. There are hundreds of charitable organisations sending me appeals throughout the course of the year. Animal welfare, health, education, international aid organisations, and others send me appeals for one off and regular gifts. It is rare a non-profit organisation offers the opportunity to make the gift via BPAY. Is BPAY a lucrative option for Australian charities to offer? CareFlight sent an appeal this week offering BPAY as a convenient way to make a donation. Prominently displayed on the response device, CareFlight informs me the biller code and my reference number. CareFlight use The Raiser’s Edge as their CRM. Most CRMs are capable of producing a BPAY and PostPay number for your supporters using the configuration required by your financial institution. The BPAY number is created upon creation of a record in your CRM. Given the average age of most non-profit organisations donor base, why wouldn’t Australian charities offer BPAY and PostPay as an easy option for people to give. Young people likely find credit card easier. Older people may prefer to give via cheque or direct debit. But, BPAY and PostPay may be attractive to a subset of the older population. It fascinates me when I walk through many non-profit organisations and I see AUS Post bins overflowing with pieces marked Return to Sender (RTS) and deceased. Some of this mail has been in these bins for so long it is collecting dust. Bins of RTS and mail marked deceased do not self-process. Your team must take immediate action in CRM. Sort the mail into the broad categories of RTS and Deceased. Further sort each into piles of your constituents or constituents from rental/exchanged lists. For your constituents, look up each constituent in your CRM. Mark the record as RTS or deceased and document any further information known. For constituents from rental or exchanged lists, enter those IDs and whether deceased or RTS into a Microsoft Excel spreadsheet. Return this list to your list broker to take further action from the list owner, including marking deceased on their database. You will want to get financial credit from the broker for both the deceased and RTS records rented to your organisation. Why pay for names which were not deliverable? Not taking the action, above, will mean you will continue to mail to the same bad addresses and the same deceased people. The net result is a waste of materials and postage. People who are not reachable and people who have died will continue to support your organisation at the same rate as they are at present = not at all. You owe it to your constituents to manage your data properly and each non-profit organisation owes it to one another to maintain data before renting or exchanging names with other charitable organisation. 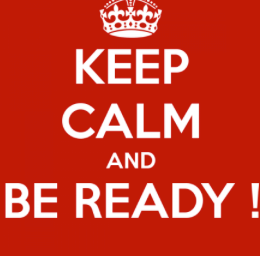 CRM Readiness – how ready is your non-profit organisation? A robust CRM is not for every non-profit organisation because not every organisation is ready to transition to a robust CRM. In terms of CRM readiness – how ready is your non-profit organisation? Define each area by suggesting what would determine a perfect score for each of the four areas. Create a metric of 0 – 5 and score each of the areas. Ask a group of individuals to participate. Senior Management commitment to the project. Your leadership team understands adopting a CRM is a long-term objective. Your leadership team understands the CRM requires continued investment. Adoption of a CRM is part of the organisation’s current strategic plan and goals. Investment in a CRM is key for your organisation to achieve other strategic objectives. Your leadership understands the CRM is a critical factor in achieving organisation goals. Your business processes and procedures have been reviewed for best practice. Departments within your organisation understand the business requirements which need to be delivered in your future CRM. Processes and procedures are documented and ready for realignment in a new CRM. You are open to realigning your current practices to match the adopted CRM. Your Information Services department is willing to participate and engage in the CRM process. 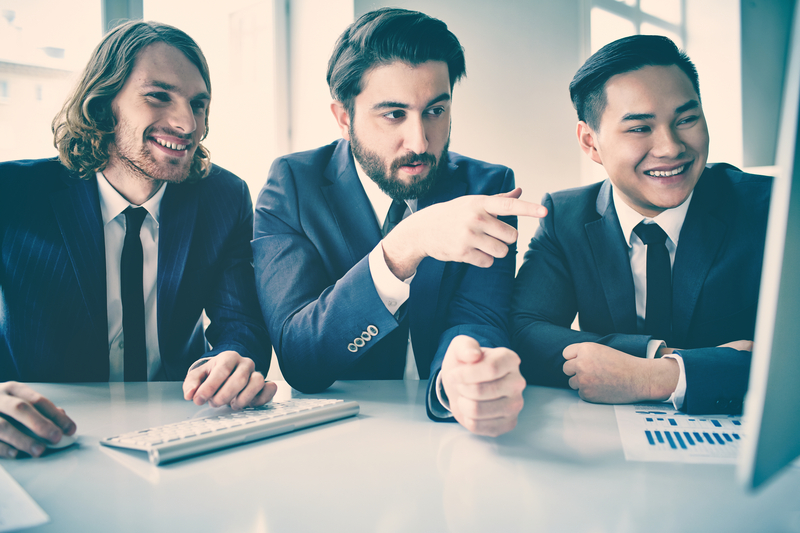 While you have their agreement to participate, your Information Services department is willing to allow subject matter experts (SMEs) to drive process improvements across the business. Budget has been allocated for ongoing CRM training and support post Go live. Position descriptions have been developed for parties who will be responsible for ongoing maintenance and management of the CRM post Go live. Scoring your organisation 15-20 suggests you are CRM ready. Scoring lower than 15 suggests you have areas of concern and you may wish to resolve those areas before you determine your organisation is CRM ready. FundraisingForce receives a telephone call or web enquiry every 7 days asking for assistance with a non-profit’s CRM. The caller typically suggests one of two issues: 1) the CRM is the issue; or 2) the database administrator is the issue. While issue #1 or #2 certainly might be true, there typically is a third issue: the non-profit organisation failed to make an annual investment in the CRM. Performing data cleansing on your CRM on a daily, weekly, monthly and annual basis is a prudent investment. Train and encourage staff to CEE every record. Establish data hygiene queries and reports in your CRM and handle the issues at the end of each week or month. Hire data experts to perform national change of address (NCOA) on your file on a routine, or at least annual, basis. The CRM you bought is not the CRM in existence today. Suppliers invest in research and development. New technology and functionality is added to your CRM routinely – sometimes quarterly, sometimes annually. If your organisation does not accept the upgrades from the supplier, you are missing out. Develop business processes for your team. Review business processes at least one time per year to ensure they are the most robust and efficient possible. When business changes, ensure the business process is documented and up to date. Train on new business processes. Train your staff, retrain your staff and retrain them, again. Offer training at Go Live. Offer training for new hires as part of their on boarding process. Offer morning teas or brown bag luncheons focused on one business process at least one time per month. Hire and fully train a system administrator. Hire the best of the best. Invest in the system administrator allowing them to maximise their professional development. It’s easy to blame the software or blame the database administrator on your issues. And, while not every software is perfect and not every staff person is a rock star, think of your new CRM the same as a new homeowner. Anyone who has purchased a new home knows the home will require maintenance each and every year. The roof will not need to be changed for 10-15 years and the air conditioning will last 10-15 years, as well. But, the house will require painting, patching, and other maintenance on a routine basis. The house does not care for itself and neither does your non-profit’S CRM.